For maintenance programs, the decades-long migration from Breakdown to Planned to Predictive strategies represents significant, albeit slow-paced, progress. It is interesting to note, however, that by comparison, this progress did not filter down equally to lubrication programs. A look at the first two strategy phases – Breakdown and Planned – shows a close analogy between corresponding maintenance and lube processes. This graphic illustrates how maintenance processes continued to evolve from planned to predictive, while parallel evolution for lubrication stalled at the planned stage. Over the better part of forty years, maintenance departments transitioned from a breakdown strategy to planned, task driven, interventions based on time in service. Replacing reactive firefighting with planned tasks reduced waste and extended life. 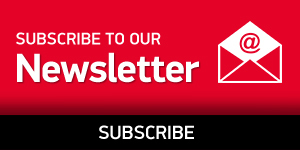 Further evolution to a predictive model delivered even more value. 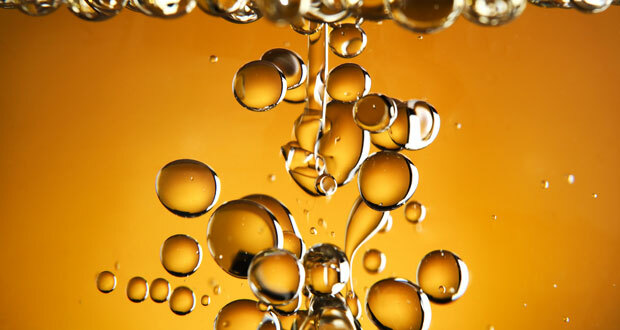 This transition happened for maintenance in general, but did lubrication processes keep pace? Most lube programs evolved beyond the reactive breakdown strategy phase, to employ a planned approach. 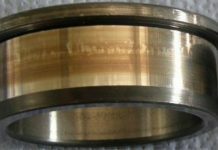 Lubricating bearings on a prescribed schedule, dictated by time in service made more sense than waiting for failure to happen. A transition from Planned to Predictive rarely happens. Technology breakthroughs often serve as a catalyst for change. This change is happening now in lubrication. 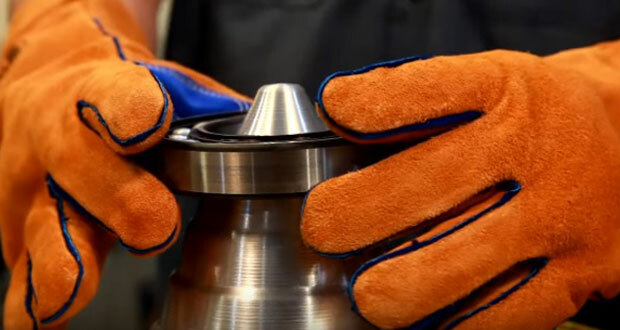 The shift from Breakdown (grease that screaming bearing) to Planned Lubrication (grease with a set amount on a set date) to Predictive Lubrication, (lubrication on condition) is real, and driven by innovative ultrasound instruments that help lube techs grease bearings right. 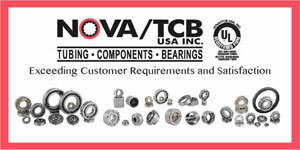 It is generally quoted that over 40% of bearings (some say up to 80%) are killed by inadequate lubrication. Logically this must lead to the conclusion that Breakdown and Planned lubrication processes sometimes fail. Advances in ultrasound technology now provide the maintenance world with an enhancement to the Planned strategy and an equivalent to Predictive strategies; namely, on-condition lubrication. For example, a bearing with outer diameter of 180mm and width of 40mm, has a theoretical grease quantity of 36 grams. The trickier part is to then derive a relubrication frequency. Once again, a series of approximations and calculations involving the operational conditions of the bearing, its size and rotational speed provide an estimate of this. The problem is to apply the correction factors to suit every operating condition which a bearing may find itself. Applying the two extremes for a correction factor might produce on the one hand a relubrication interval of 5,333 hours and on the other hand 6 minutes! How can a machine manufacturer provide recommendations that account for every operating condition in the world? In a Planned maintenance strategy, ultrasound will tell you when to stop injecting grease. In the Predictive strategy, an ultrasound measurement alerts the lube tech when and if lubrication is needed at all. The grease quantity and interval calculations become only guidelines. 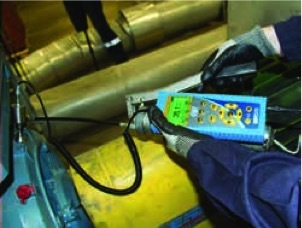 Measurement of friction using ultrasound is the driving and controlling parameter. Ultrasound “hears” friction, so the trained lube tech acquires valuable information on the frictional state of that bearing. As a rule, “to fail to prepare is to prepare to fail”. So many mistakes occur before the grease gun even reaches the lubrication point. Organizational tasks like lubrication management, storage, and contamination control are essential and their need cannot be over-emphasised. Likewise, the lubrication task itself must also be preceded by preparation. Which lubricant do I use for this bearing? What is the calculated maximum amount? How frequently should we check this bearing? This task is best managed with software. Combining preparation with friction measurement software provides a smooth, seamless integration between the condition assessment and the lubrication function. A measurement and lubricant database is created for each bearing. The database controls the sensor type, the lubricant type and the calculated maximum quantity. How much grease does your grease gun dispense? If the answer is, “I don’t know”, then calibrate your grease guns. Minimise variables that cause errors. Ensure that the majority of grease guns used deliver the same amount. “Patience is a virtue” applies to lubrication. Build in a waiting time between each injection of grease to ensure that the impact of that injection is detectable. This prevents over-lubrication and allows you to spot failures such as blocked and broken grease tubes. A database Tree and Lube Surveys, similar to ones used for condition assessment, is now created. 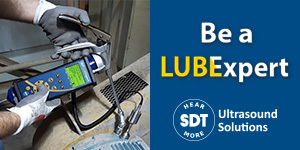 These surveys, loaded into your ultrasound data collector, guide you to a precise lubrication. 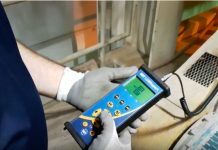 In Survey Mode, the ultrasonic instrument guides the lube tech from point to point and measurement data is the reference to lubricate the bearing. With the reference stored, the detector prompts the technician to begin adding grease. After the waiting time, another measurement dictates the next action. To assist the lube tech, the ultrasound meter’s built-in algorithms compare each successive reading and suggests the technician either add more grease at a controlled rate, or decide to stop. The integration of ultrasound-assisted lubrication can be deployed in either a Planned or Predictive strategy. 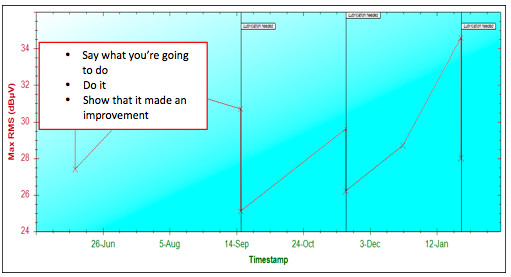 In a Planned strategy, ultrasound guides the lube process, however the calendar still dictates the intervals between lube tasks. This time-based approach does not take full advantage of ultrasonic conditional data to trigger the lube process. Progressive lubrication programs want to get to that stage. 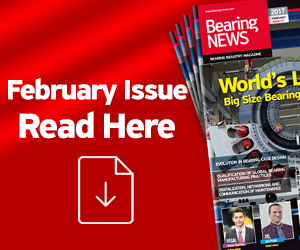 The result becomes a history for each bearing with the latest bearing condition data always available to listen to or analyse for the presence of early-stage bearing defects. It is important to show that this new lubrication strategy is working. That means developing some performance indicators. The data collector records the number of shots of grease applied during the lube process and the database knows how much grease is in a shot. Calculating grease consumption therefore, becomes a simple task for this software; and the corresponding consumption reports are meaningful and useful. Showing a reduction in grease consumption along with a measurable improvement in machine reliability is a great way to prove that your program is working. “None of this is particularly new,” you might say. To some this is old news. But for others, this is science fiction. One great success is documented from a mine in South Africa. Prior to implementing a Predictive ultrasound lubrication program, they identified 945 grease points; all lubricated on a time-based schedule. 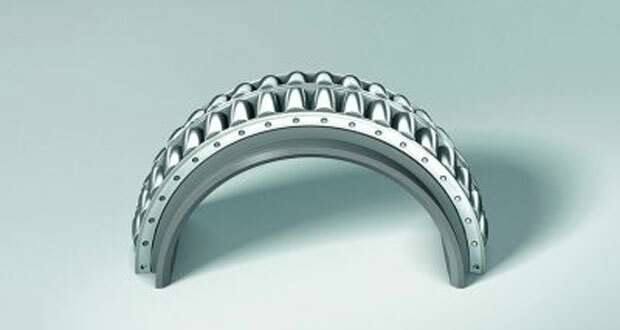 After implementation, the number of bearings needing lubrication quickly reduced. They used to pump all 945 bearings full of grease, every month. This reduced on average to only 19 bearings each week. At the start of the program, the plant purchased 22 18kg drums of grease each month. 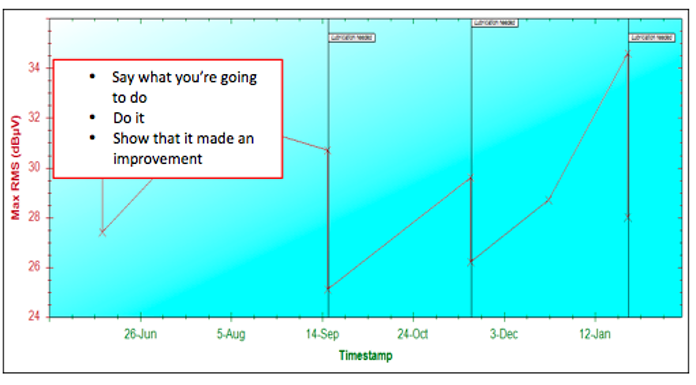 Within one month, that dropped to 17 drums and within 6 months, it was below 10 drums. The average amount of grease bought for the subsequent 6 months reduced to 6 drums. Instead of wastefully pumping bearings full of grease, the technicians now devote their time to monitoring bearing condition. Furthermore, while huge savings accrued due to lower grease consumption, it is recognised that 95% of the bearings are operating at the lowest possible friction levels. 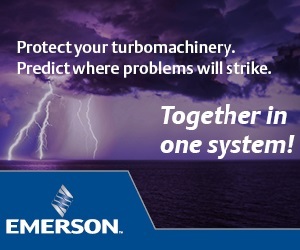 This highly effective lube program is delivering longer equipment life and reliability. There are very few organizations, if any, that benefit from a Breakdown maintenance strategy. Likewise, the concept of the squeaky bearing getting the grease is a dinosaur concept. If a bearing is greased because it is screaming, the damage is done; its lifecycle is already jeopardized. The migration from a Breakdown approach to a Planned approach represents beneficial evolution for both maintenance and lube processes. The next step forward, from Planned to Predictive, already happened for most maintenance departments. It was a competitive necessity. But lube programs lagged, instead opting for antiquated OEM recommendations that insist lube tasks be triggered by time-based events rather than condition. The same competitive advantages enjoyed by maintenance, also exist for lubrication programs. As they play catch up, more success stories like our South African mine will appear. These success stories will be driven by innovative technology advancements from progressive ultrasound manufacturers. Indeed, ultrasound-assisted lubrication is the driving force that will realign these two reliability strategies back to their parallel pathh…h..